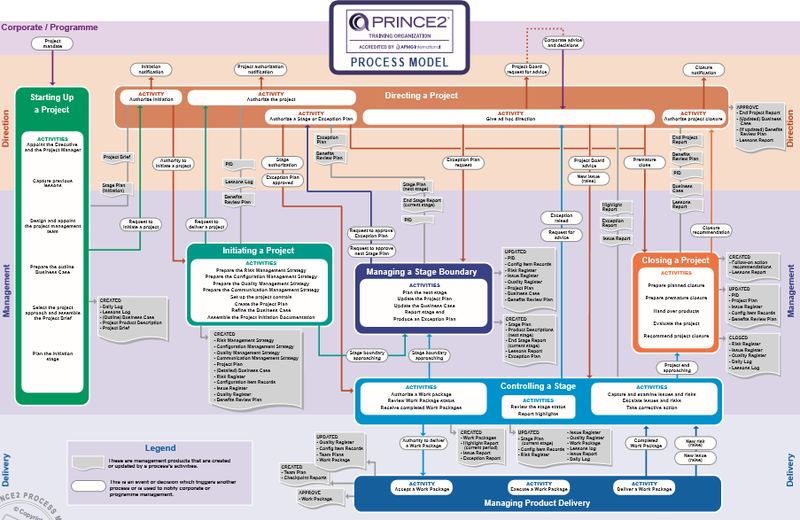 The PRINCE2 process model is more focused on the ends rather than the means; what's expected of the end product will determine the scope and shape the planning. The British government has honed their project management methods for years, cumulating with PRINCE2 in 1989. An acronym for Projects In Controlled Environments version 2, PRINCE2 throws sprints out the window, and instead approaches a project as one big sprint and stresses quality of delivery—like a traditional project management version of Six Sigma. The PRINCE2 process model is more focused on the ends rather than the means; what’s expected of the end product will determine the scope and shape the planning. There are three interests at play with PRINCE2: the business interest (is it going to make money? ), the user interest (will customers find this valuable?) and the supplier interest (do we have what we need to make this happen?). PRINCE2 has a more clearly defined personnel structure than most project management systems, one that works for larger projects that governments and other large organizations must undertake. Each team member has specific roles, which carry through all 7 of PRINCE2’s stages: Startup, Direction, Initiation, Control, Boundary Management, Planning, Delivery and Closing. Startup: First on the agenda: leadership chooses a project manager and clearly relays everything that they expect the product to be. The PM, whose main focus is the fine details, reports to the project board, which puts together the project’s direction. The project board steers the course of the project and is ultimately accountable for its success. The remaining members make up the team. Initiation: During this step, the project manager writes the “initiation document,” a plan to bring the project into reality. Once the project board signs off, it’s time for the control stage, when the project is divided into phases. These phases don’t have to last the same amount of time; the duration of each is determined by what each realistically demands. Like waterfall, a phase must be completed before moving on to the next one. Direction: It’s not enough to have oversight—you also need to know exactly how a project should be overseen and managed. The direction phase sets the overall management structure for the project, outlines how each stage should progress, and what should happen if something changes along the way. Control: Some amount of change is inevitable, which is why PRINCE2’s per-stage review can be helpful. The roadmap for each phase is determined by the review of the previous one. So while there may have been a general plan, that can be manipulated if a review shows a need for something else. Once again, the project board has to sign off on this—bringing double the meaning to the “Boundary Management” stage. Boundary Management: The management stage looks at product delivery: what is going out (for example, what features will an app keep or chuck? ), how it’s going out, and asks, is the product that is going out exactly is what the business wanted, and meets all requirements? Delivery: From a project manager’s perspective, this is where the most important oversight takes place. 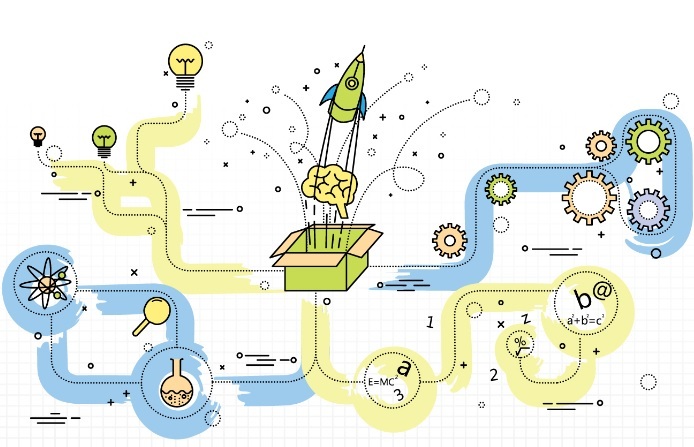 As work begins on product delivery, the project manager is in charge of making sure that everyone is doing a job that aligns with the project’s goals and getting approvals once parts of the project are completed. That may be a bit much for some projects, so you can still customize the stages for your needs, while still keeping the same general idea of PRINCE2’s structure, planning, and reporting back to upper management. Just like Scrum is a more structured version of Agile, PRINCE2 is a more structured TPM system, with some of the benefits of the Lean approach thrown in. PRINCE2 works best when the stakes are high and there needs to be several pairs of authoritative eyes on the project every step of the way. If you’re big on feedback and guaranteeing nothing will go wrong, this might work well for you. That’s why PRINCE2 is so popular in government offices—it’s used in the United Kingdom’s government, and is the standard for project management for the United Nations. It’s been successfully used by VocaLink to streamline real-time money transfers between banks in Australia and the UK, something where there is zero tolerance for flaws and where communication is essential. Despite PRINCE2’s success in governments, it isn’t without its drawbacks. If used in the wrong environment, there’s lots of opportunity for bottlenecks and politics. Because of the extensive reviews and sign-offs, you might end up wrestling for control or find that work is delayed because someone hasn’t signed off yet. And strictly defined roles can stave off a sense of true collaboration. For better quality of the image you can download the PDF version from here. You can see that inside each process rectangle are several list items. These are the activities which form each process. An activity in PRINCE2 is simply a series of steps to be performed. You can find a reference guide in the second page of the PDF doc that will help you map outputs to their respective activity and process.